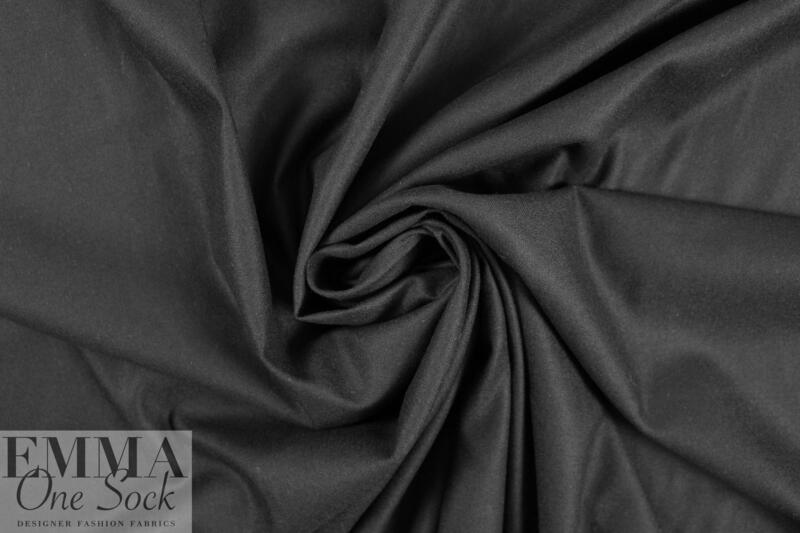 From a NY designer, this Italian black wool blend stretch woven is refined and smooth, wrinkle resistant, and has a lovely, soft hand. 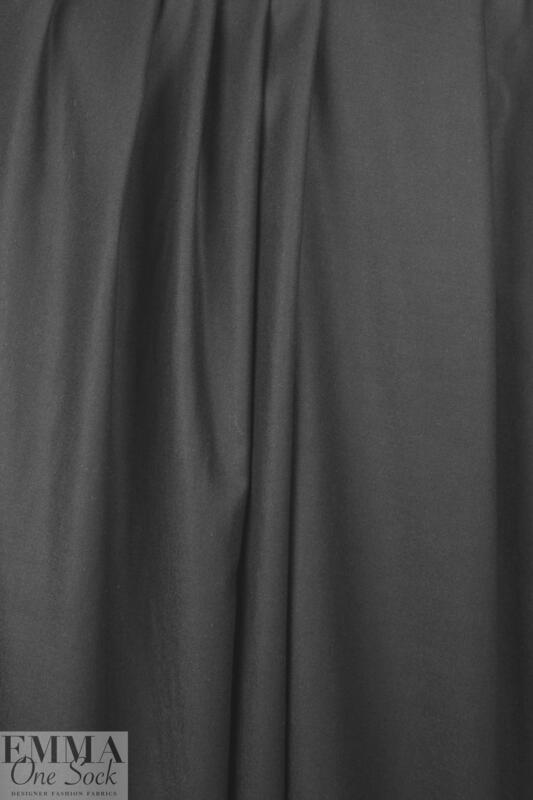 It has a very slight brushed texture and is lightweight yet opaque, with just a bit of body in the drape. It has about 20% widthwise stretch. 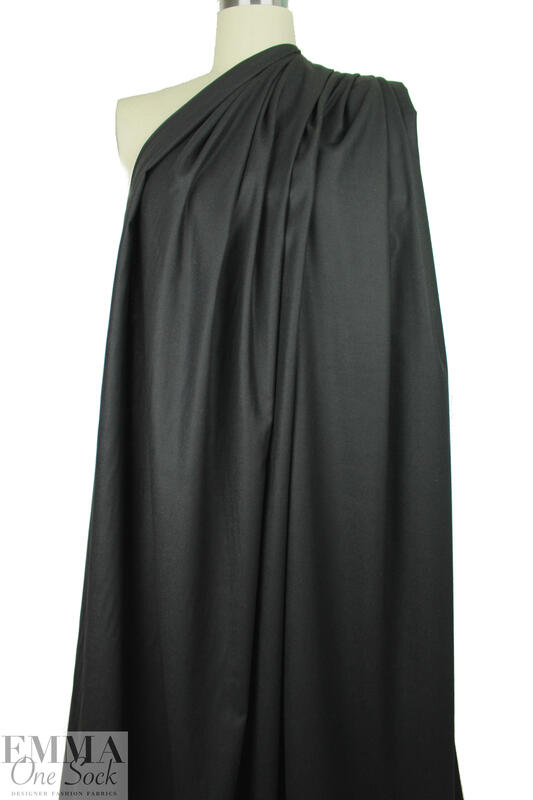 So versatile, it would work well for anything from slacks and shirts to dresses, skirts and jackets, etc. Dry cleaning recommended--please test first if you wish to hand or machine wash.